The sinking of The Bounty in Hurricane Sandy remains an enigma for some, a scandal for others, and a tragedy for most. Why was the ageing wooden vessel out at sea during one of the worst storms to hit the Atlantic seaboard in a generation? 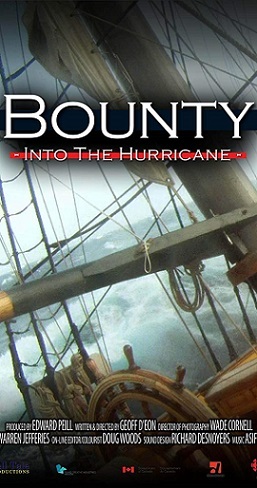 Bounty: Into the Hurricane reveals much: from her building and launch in Lunenburg N.S., to her 50-year struggle to pay her way as a moored attraction and movie star, to her final fateful journey in October 2012. Shot on location in Halifax NS, Elizabeth City NC, and Baltimore MD by Geoff D’Eon, this documentary provides a gripping insight into a maritime tragedy. Produced by Tell Tale Productions, Bounty: Into the Hurricane was the winner of the Best Atlantic Documentary Award in the 2014 Atlantic Film Festival and the 2015 winner of Best Documentary for the Screen Nova Scotia Awards. The trailer provides a glimpse into the tragic sinking and the harrowing rescue attempts. Geoff D’Eon is a veteran of television and event production, with extensive experience as a journalist, producer, writer, director and executive producer. He is a multi-Gemini award winner (This Hour Has 22 Minutes, Rick Mercer's Talking To Americans, East Coast Music Awards) and is the chair of the Halifax Urban Folk Festival. 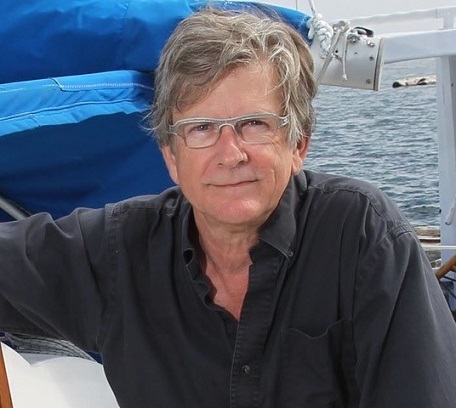 He brings his experience as the writer and director of the documentary film Bounty: Into the Hurricane to this book. Geoff lives in Halifax, Nova Scotia.